Moving Forwards offers the opportunity to investigate current agendas in PaR across Dance Practices. The event will include presentations and debate by the following leaders in the field: Prof Sarah Whatley (University of Coventry), Dr Sita Popat (University of Leeds), Dr. Simon Ellis (University of Roehampton), Dr. Vida Midgelow (University of Northampton) and Dr. Jane Bacon (University of Northampton). what are the particular issues facing and being experienced by Practice led Dance researchers? how might PaR be further articulated / disseminated? how can ‘non’-performance focused or improvised practices etc be developed and supported in PaR frameworks? what methodologies are emerging for PaR in dance? In his renowned ‘Manifesto on Dance’, Mehmet Sander writes that ‘creating dance on an emotional basis is self-indulgent, since humans are already emotional.’ As part of Outside AiR, Sander invites applications to participate in a five-day workshop followed by a live public performance. Uncomfort Zone will explore the key aspects of his manifesto and his practice: dance will be a premise to refuse comfort, emotion and music, in favour of collision, maximum velocity and gravity as enhancements of — rather than inhibitions to — performance. Using his vast experience as an iconic performer and choreographer of high-impact dance, Sander will lead tasks that challenge the participants physically, mentally, and intellectually, culminating in a new performance in the Great Hall, People’s Palace at Queen Mary, University of London in March 2011. The workshop is open to participants with all fitness levels, ability and experience. No training in dance is required. Mehmet Sander was born in Germany in 1967. He started dancing with Geyvan Mcmillen in Istanbul in 1984. Sander continued his dance education at the London Contemporary Dance School, California State University (Long Beach), Harvard University and American Dance Festival. Sander founded the Mehmet Sander Dance Company in 1990. In the United States, Sander and his company have performed in Highways (Santa Monica), Museum of Contemporary Art (Los Angeles), Los Angeles Festival (1993), Japan-American Theater and Alaska Performing Arts Center (Anchorage) and elsewhere. 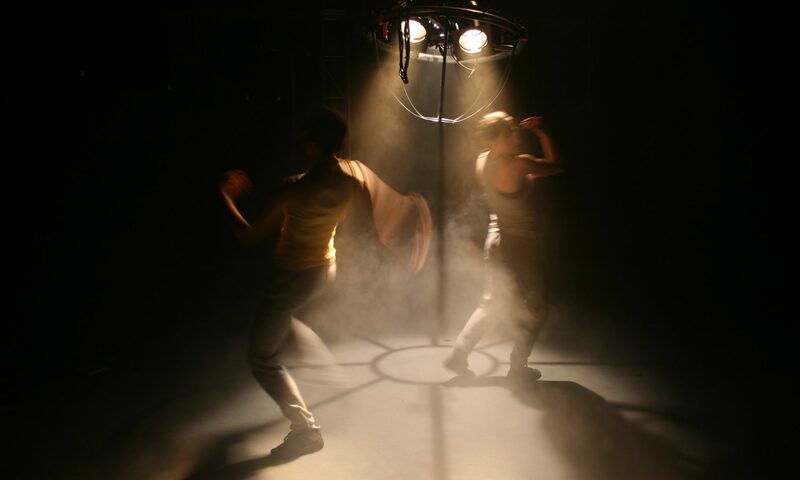 The company has participated in numerous events and festivals such as the Holland Dance Festival, New Moves (Scotland), ICA’s National Look at Live Arts (UK), Klapstuk Festival (Belgium), Munich Dance Festival (Germany), Szene Festival Salzburg (Austria), Belluard Bolwerk International Festival (Sweden), Transform Copenhagen (Denmark), Istanbul Music Festival (Turkey) and Festival International de Danza (Brazil). Sander′s Inner Space was presented by the Joffrey Ballet, one of the most important American dance companies to date, at prestigious venues such as the Kennedy Center and the Smithsonian Institution. The Joffrey Ballet will present this piece again for its 50th year anniversary. 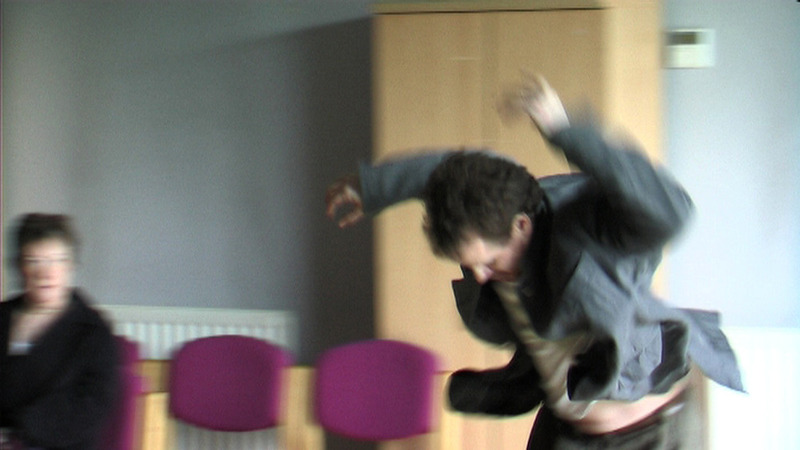 Image from showing of “He is not here” at Roehampton University on 10 Jan 2011. Bagryana and I are currently in Sofia where the work will première tomorrow (Monday 24 January 2011). It has been more than 3 years since we started this project – some very early materials (shot in Macedonia) are here: http://skellis.net/untitled – and it seems to be such a rare thing to go into a performance with such a refined embodied understanding of the materials and their conception. These were in an email from my mother Gabrielle.